About six months ago we decided that we were ready to buy some chickens and dive into animal husbandry in our backyard. While my wife and I had discussed this idea in the past we had always dismissed it since we live in a small suburban community. Although we are not in a big city and we do have enough room it just didn’t seem like something that would fit with our lifestyle or living environment. After all, what would the neighbors say? Don’t chickens smell? How much time would be invested in cleaning and feeding the chickens? How much does it cost to feed them, heat the coop, and provide overall care? These were many of the questions that my wife and I had that made us reluctant to get into owning chickens. 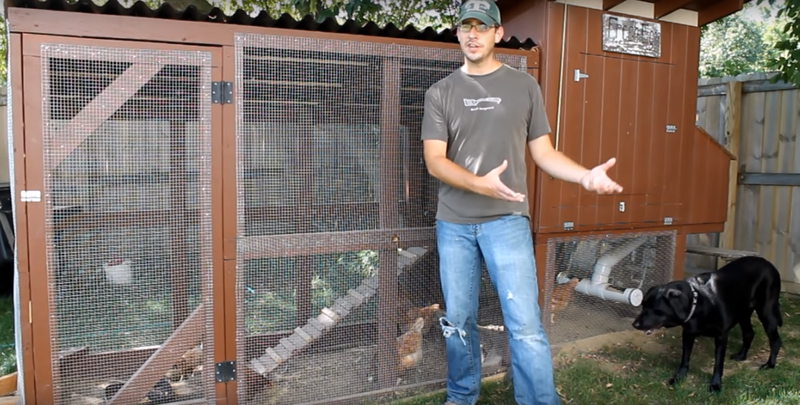 To learn everything you need to know about keeping chickens at home, click here. Yes, raising a few chickens for eggs is worth it! You know exactly what you’re getting. Organic, free range protein from happy and healthy chickens! They’re going to lay eggs anyway, I see no logic in not eating unfertile free range eggs. We don’t force them to lay all winter. We are kind and compassionate to them and appreciate their gifts of eggs, pest control, consuming food scraps, using the crushed egg shells in the garden and their poop for fertilizer. When they stop laying, we don’t kill/eat and/or toss them aside like trash. We let them live out their lives happily. Cost wise, it’s more rational to raise your own. As well as having peace of mind that you aren’t promoting factory farms. If I didn’t have chickens, our dogs wouldn’t have anyone to play with.